The outward unity projected by House Republicans masked weeks of fierce debate, even infighting, and doubt over a measure that stands virtually no chance of becoming law. In a series of heated closed-door exchanges, dissenters, led by Ryan’s main internal rival — House Ways and Means Committee Chairman Dave Camp (R-Mich.) — argued for a less radical, more bipartisan approach, GOP staffers say. At a fundraiser shortly after the vote, a frustrated Camp groused, “We shouldn’t have done it” and that he was “overridden,” according to a person in attendance. A few days earlier, as most Republicans remained mute during a GOP conference meeting on the Ryan plan, Camp rose and drily asserted, “People in my district like Medicare,” one lawmaker, who is now having his own doubts about voting yes, told POLITICO. At the same time, GOP pollsters, political consultants and House and NRCC staffers vividly reminded leadership that their members were being forced to walk the plank for a piece of quixotic legislation. They described for leadership the horrors that might be visited on the party during the next campaign, comparing it time and again with former Speaker Nancy Pelosi’s decision to ram through a cap-and-trade bill despite the risks it posed to Democratic incumbents. [H]aving committed themselves, Republicans will appear (and will be) feckless if they abandon reform only weeks after voting for it. Trying to change entitlements can be agony, but it is fatal to try and fail. The voters will conclude the critics were right. I think this advice is... sound, actually. Republicans never should have voted on a budget that cuts taxes for the rich while phasing out Medicare and replacing it with progressively less adequate coupons for private health insurance. But now that they're stuck with the vote, they would probably do well to defend it as best as they can. If Republicans start abandoning their budget, then it will be defined as a radical plan that even Reps. X, Y and Z can't stomach. The lack of defenders will make it even less popular. On the other hand, this isn't a good position for Republicans to be in. It's a terrible position. And the one way out that I can think of is to cut a grand deficit bargain with Obama. 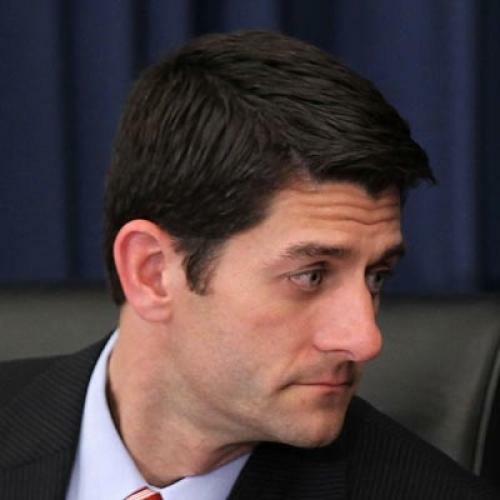 If Obama and the Republicans make a budget deal, that is something the House GOP can use to get past the Ryan budget. Then they can paint it as a conversation-starter -- we forced Obama to come to the table! -- rather than a blueprint for future action. If they cut a deal, then they can say the debt crisis has been addressed, and the radical measures they voted for (in order to call people's attention to the problem, of course -- they didn't want to do that stuff) are no longer needed. Obviously, a big winner out of a deal like that would be Obama himself, who could take a major issue off the table and demonstrate his ability to work in a bipartisan fashion, and solidify himself amongst affluent independents. There would, however, be a couple huge losers. One is the Republican presidential nominee, who could still run on the economy but would face a steeper climb. The other, bigger loser is House Democrats, who would forfeit what might be their only chance for a long time to take back the House. I would note that the potential winners here have the power to make the deal happen, while the losers are largely watching from the sidelines. I strongly suspect Obama would like to make a deal like this, but I don't think the House GOP has it in them. But if they want to reduce their exposure to the risk of losing their majority, that's the best path I can see for them.